Marshalls Firestone Stone Paving and LazyLawn Wonder Yarn 26mm Project in Peterlee. 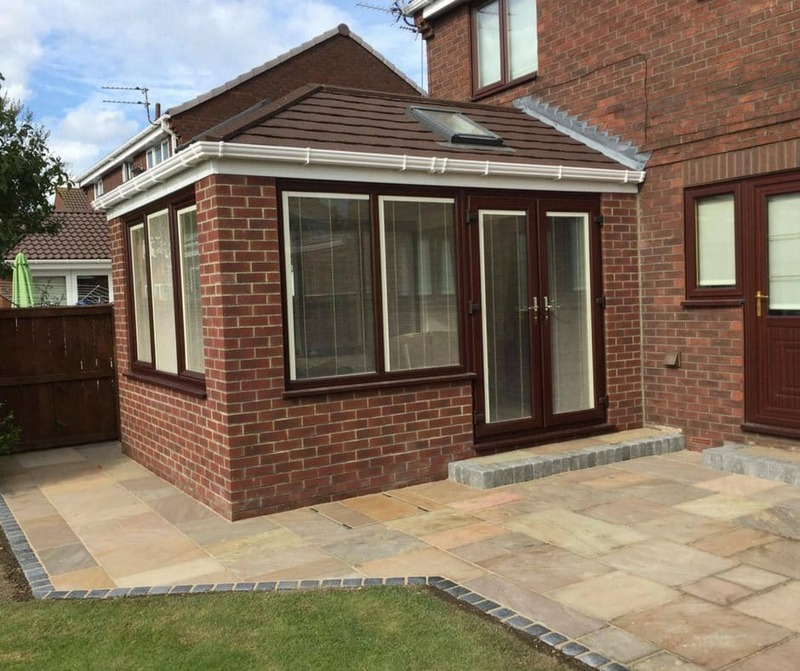 This project involved us laying a new patio area using Marshalls Firestone Paving. We also added an artificial lawn using LazyLawn Wonder Yarn 26mm. Why Choose LazyLawn Wonder Yarn? LazyLawn have established themselves as the UK’s largest artificial grass supplier. 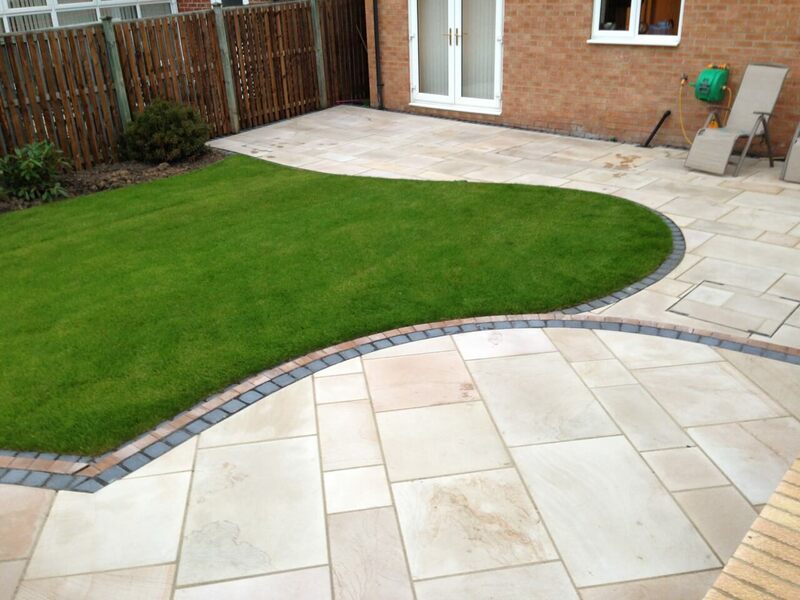 There products are ideal for people who want a mud-free, low maintenance solution for their garden. Wonder Yarn 26mm is currently top scoring in Which? Artificial Grass comparision table. The product gets its name from an exclusive W shape yarn development. This is the next generation in artificial lawn technology and is exclusive to LazyLawn. Our team are the North Easts registered installers for this fantastic brand of artificial grass. 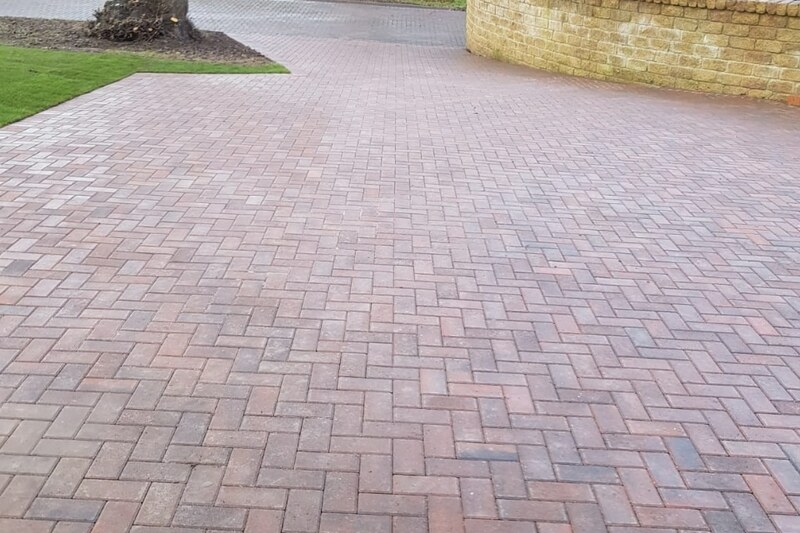 Having either patio or driveway paving is not just about choosing the right colour or type. The installation is a very important part when it comes to the overall finish and longevity of the project. 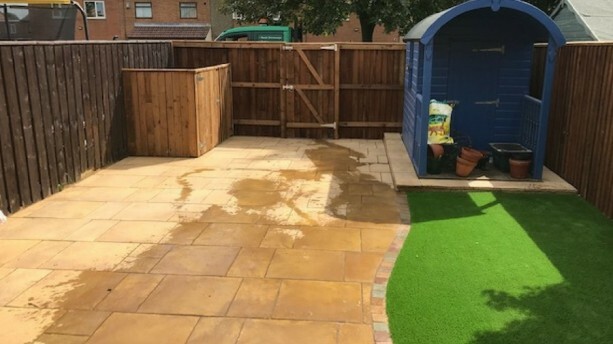 Been on the Marshalls register of accredited landscape and driveway installers, helps reasure our customers that they are not just buying a quality product they are also getting piece fo mind and a guarantee of quality workmanship. We have worked in the landscaping industry since 1980. Furthermore, with our years of experience we can certainly put you on the right track with your installation. This guarantee is even valid if the paving contractor ceases trading, giving you total peace of mind. If you would like to keep informed of all our latest projects, news and products, please join our Facebook Page.